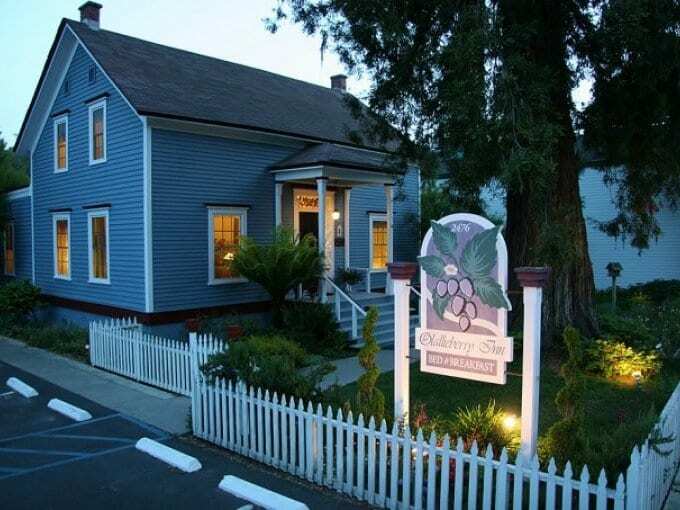 Olallieberry Inn has nine guest rooms – six in the Historic Home and three in the Innkeeper’s Cottage. All rooms have deliciously comfortable NEW beds, private baths with six being in-room and three being detached. Nine rooms have fireplaces. Each room is furnished with beautiful wall coverings, fabrics and antiques and has its own style and character. All rooms are double occupancy, with the exception of Creekside Suite which can accommodate up to four persons. Check-In time is 3:00 PM – 6:00 PM.